Ahhhhhhh!!! Thanksgiving is in 2 days and you have no dessert! Fret not, as we thought it would be a great idea to post our top 3 “easy peasy lemon squeezy” quick desserts that you and/or your children can make. (And it will keep them happily busy too!) 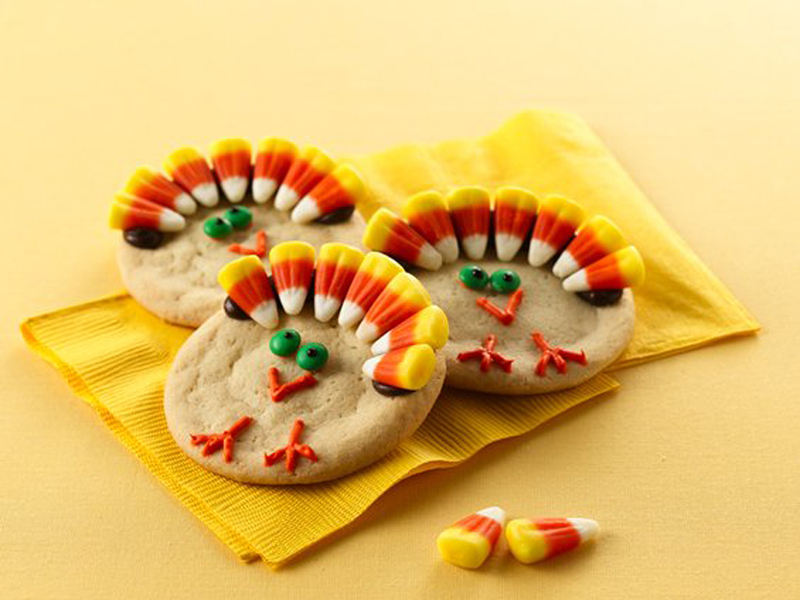 These are ideal to serve at Thanksgiving or any other holiday! DIRECTIONS: Bake cookies as directed on roll or package. Cool completely, about 10 minutes. Spoon chocolate frosting into 1-quart Ziploc® Brand storage bag; seal bag. Cut off tiny bottom corner of bag. On each cookie, pipe frosting on outer edge of half of cookie. Arrange candy corn over frosting for feathers. Pipe orange icing onto each cookie to resemble turkey face and feet. Use orange icing to attach baking bits to turkey face for eyes. Pipe black gel on baking bits for centers of eyes. 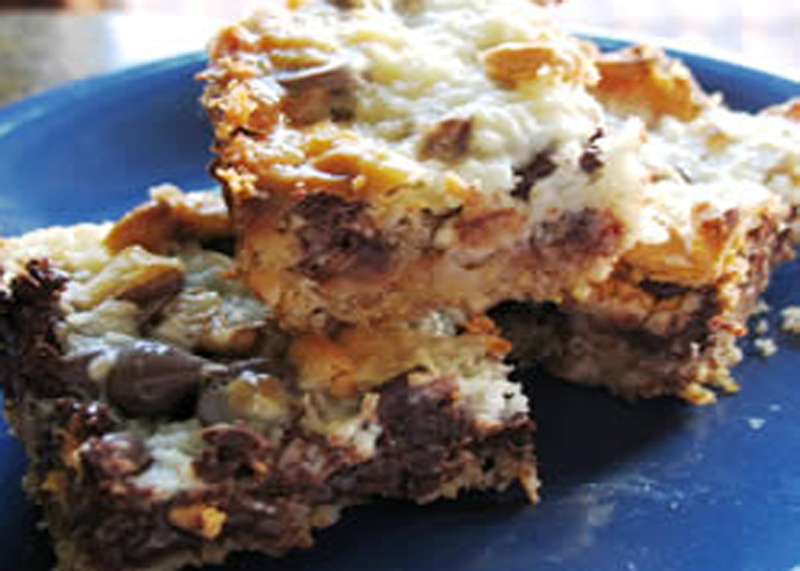 DIRECTIONS: Crush 9 of the cookies to fine crumbs in food processor; reserve for later use. (Cookies can also be finely crushed in a resealable plastic bag using a rolling pin.) Crush remaining 36 cookies to fine crumbs; place in medium bowl. Add cream cheese; mix until well blended. Roll cookie mixture into 42 balls, about 1-inch in diameter. Dip balls in chocolate; place on wax paper-covered baking sheet. 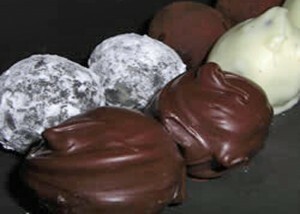 (Any leftover chocolate can be stored at room temperature for another use.) Sprinkle with reserved cookie crumbs. Refrigerate until firm, about 1 hour. Store leftover truffles, covered, in refrigerator. DIRECTIONS: Preheat oven to 350 degrees F (180 degrees C). Place butter in 13 × 9 inch pan and melt in oven. Swirl to coat bottom and sides with butter. Spread crumbs evenly over bottom of pan. Layer chocolate chips, butterscotch chips, and nuts over crumbs. Pour condensed milk over nuts. Sprinkle coconut over condensed milk. Bake until edges are golden brown, about 25 minutes. Let cool.